With Wavves coming to Calgary for Sled Island, I was hopeful for their latest release even though the last song I remember by them was “King of the Beach” from their 2010 album of the same name. You’re Welcome didn’t have high points or low points but merely remained in the middle. Most songs just flowed into each other with nothing standing out as exceptional. 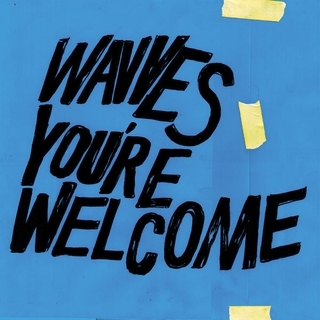 You’re Welcome kept Wavves coasting those slack, surf rocker waves that they’re known for. If we’re honest we can agree that Wavves hit their peak with King of the Beach in 2010. Their show at Sled Island will still be worth it, if only because their opener is Borsht out of Edmonton. But, if this is still your kind of music, this is the album you should get a pizza stick-and-poke to, that or get kicked out of parking lot for skateboarding where you are not supposed to.